Greater Minnesota Housing Fund support the creation of affordable homes for working families in areas of economic vitality throughout Greater Minnesota. A Minnesota nonprofit organization which serves as a housing intermediary for contributions from individuals, corporations and foundations interested in supporting local affordable housing efforts in out-state communities. Monies obtained from charitable contributions are used to provide for the construction of housing that is affordable to low and moderate-income households in rural towns and small cities. Promotes the creation of livable communities, the sustainable use of land, cost reduction techniques, and employer involvement in affordable housing. Both multi and single-family housing are supported by the fund. 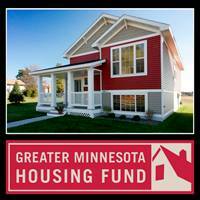 Are you familiar with Greater Minnesota Housing Fund? Help FreeRehabCenters.org users find out answers.